Introduced in our Cruise 2019 presentation, this practical and stylish belt bag is crafted from leggero leather in the new Micro Intrecciato workmanship. The bag is made with panels of leggero leather, embossed with a woven texture and hand-stitched with black thread for a uniquely graphic, colour-blocked look. 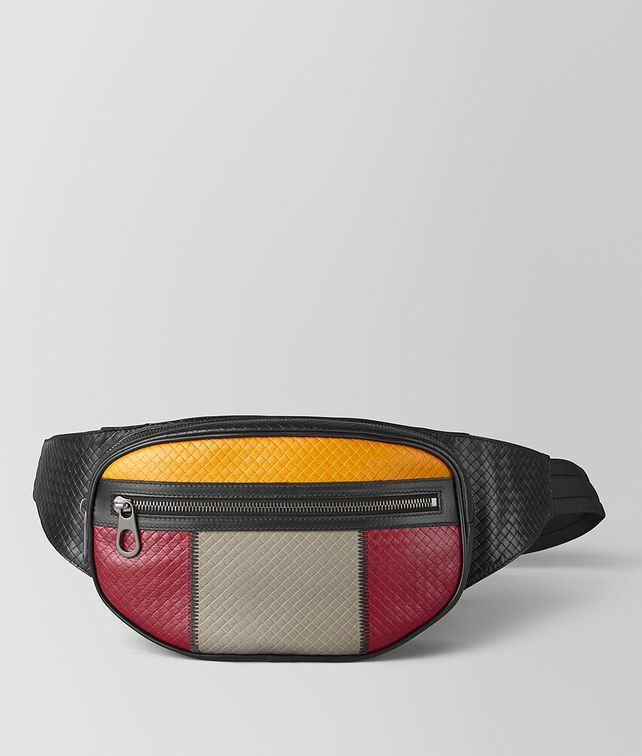 The belt bag can easily transition to be carried as a cross-body by adjusting the strap. Equipped with a front zip pocket and a softly padded back.